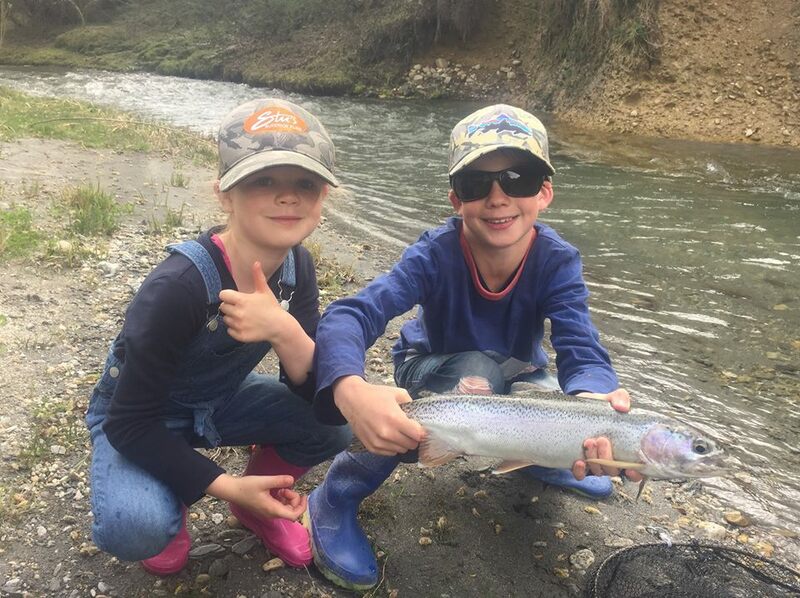 The first rainbow trout unfortunately came unstuck a few seconds after eating our fly, but we found another just above in the next pool which after a good fight Louie expertly guided into the net. Unfortunately not long after this photo was taken Charlotte slipped over whilst crossing the stream and went completely under so we headed for home. Fun times and time that I treasure...the stuff memories are made of and I'm sure the kids will remember in the years to come.